I take my Mom to a Support Group at our church called Grief Share . If you or anyone you know has lost a loved one, I highly recommend this 13 week program, it is extremely helpful. A week or two ago they gave the example that one person reaped loneliness in her life because when friends had asked her months earlier to come over for dinner she said no, when they asked her to come over and watch a movie and she said no, when they asked her to go to the shopping mall with them she said no. So here she is months later feeling lonely because the “No” seed she sowed with her friends eventually made them stop asking her out. What seeds have you sown in the last year? The last six months? last week? Today? Do you want a better relationship with God? Do you want happiness? Do you want prosperity? What is it that your desire? Think about it and start sowing that good seed. There is a story of the two farmers. There was a very dry season and both farmers prayed for rain for good crops that season. The first farmer prayed for rain every day for weeks. The second farmer prayed every day for weeks as well. After a couple months, there still was no rain. 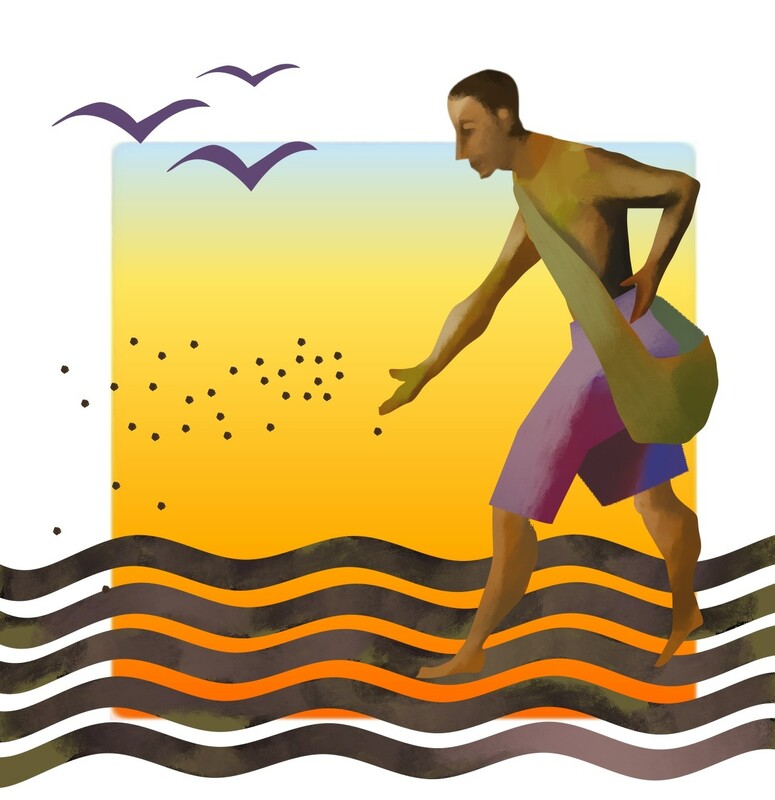 One day, the first farmer was looking in the fields and saw the second farmer planting his seed in the ground. The first farmer was looking at the second farmer and was thinking to himself that the second farmer was wasting his time and his seed because he had been praying for months and there was no rain. Needless to say, that night it rained and it rained hard! God did answer both their prayers in His time, but only one’s seed to root and brought harvest because he had faith and was prepared to receive his blessing. So my brothers and sisters, I encourage you to search yourselves and start sowing that good seed. Pray without ceasing, and have faith that God will answer your prayers. He may not answer your prayers in your time, but he will answer them in His time. Prepare yourselves for your blessings and sow your good seed! I wish everyone would read this. I meet so many lonely people who are lonely becasue they never reached out or like you say in your post, kept saying no to invitations. I love the way Jesus teaches about reaping and sowing. It is what I have built my blogs upon. One laborer may sow…another may reap. It doesn’t matter who does what…the end result is for the glory of God and His kingdom!! There is so much to be done and so little time. My prayers are with you. Have a blessed day!